The New Jersey Supreme Court has ordered consolidation of more than 350 suits over alleged side effects from breast cancer drug Taxotere. The court designated all cases involving allegations of hair loss from Taxotere as multicounty litigation and assigned the group to Superior Court Judge James Hyland in Middlesex County for centralized case management. Chief Justice Stuart Rabner approved the application on Aug. 17. Rabner said the order would apply to Taxotere-related state court suits against Sanofi-Aventis U.S., Accord Healthcare, Sandoz, Hospira Worldwide, Pfizer, Actavis and Sun Pharmaceuticals. The defendants took no position on the plaintiffs’ application for mass tort status, said Rayna Kessler of Robins Kaplan in New York, who submitted it. Sanofi-Aventis and Sandoz are named as defendants in many of the New Jersey cases because they have U.S. headquarters in the state, Kessler said. The plaintiff’s lawyers said designating the suits as multicounty litigation would better enable them to coordinate with multidistrict litigation in federal court, overseen by U.S. District Judge Kurt Engelhardt of the Eastern District of Louisiana. 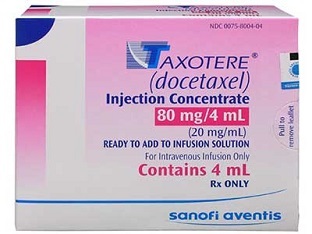 Taxotere is not sold in generic form but is sold by multiple manufacturers who have received regulatory approval for their products under §505(b) of the Federal Food, Drug, and Cosmetic Act, according to Kessler. That act permits an applicant to rely on findings of safety and effectiveness from studies conducted by other parties and for which the applicant has not obtained a right of reference. A significant number of Taxotere cases were already before Hyland before the designation as a mass tort, but they are still in the earliest stages of litigation, said Kessler, who sought MCL status on behalf of a group of 12 plaintiffs lawyers. Besides Kessler’s firm, plaintiffs lawyers bringing Taxotere cases in New Jersey include Mazie, Slater, Katz & Freeman of Roseland; Napoli Shkolnik of Melville, New York; Cohen Placitella Roth of Philadelphia; Berezofsky Law Group of Cherry Hill; Pogust Braslow & Millrood of Conshohocken, Pennsylvania; Burnett Law Firm of Houston; and Simmons Hanley Conroy of New York. According to court documents, the Food and Drug Administration approved Taxotere in 1996 for breast cancer treatment. Its labeling indicated that the drug could cause temporary hair loss in users, but that the hair grows back when use is discontinued. In 2015, defendant Sanofi Aventis changed its label to say that cases of permanent hair loss have been reported by users of Taxotere. But the suits claim that Sanofi and Sandoz knew much earlier that Taxotere may cause permanent hair loss, according to court documents. A study of 1,060 users between 1999 and 2003 showed that 9.2 percent had persistent hair loss for 10 years or longer, according to the plaintiffs. And in 2006, an oncologist from Denver, Scot Sedlacek, presented a study showing 6.3 percent of one group of subjects had poor hair regrowth, according to court papers, which also cited similar findings in a 2009 article in the British Journal of Dermatology, and a March 2010 article in the Toronto Globe and Mail. Women who undergo treatment for breast cancer consider hair loss the most traumatic side effect of their treatment, according to studies cited by plaintiffs in court documents. The chance of hair loss causes 8 percent of women with breast cancer to choose to forego treatment, and women with hair loss may experience a lost sense of femininity, attractiveness and self-confidence, which remains even if hair grows back, the plaintiffs claim in court papers. A Sandoz representative did not respond to a request for comment about the designation.